I can provide bespoke compositions for your media projects, from films to computer games and web sites. If you are seeking a unique audio identity for your project, please get in touch with me via email from the Contact page so we can discuss your needs. Rates are negotiable depending on the scope and complexity of your project. I would prefer to work with what you can afford based on your project budget, rather than an arbitrary flat rate. I can provide orchestration and arrangement of sketches that you provide to me, either via scanned in sheet music or MIDI files. 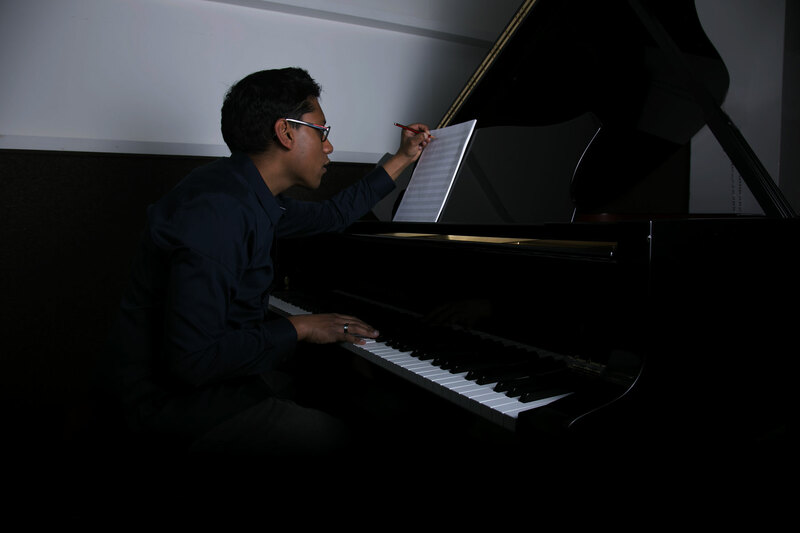 Orchestrations and arrangements can be provided to you via sheet music from Sibelius, MIDI files, or project files for Logic, Cubase or Digital Performer. Piano, bass guitar and drum kit lessons are offered via Skype, or in person if you are in the north-west London area. I also offer guided instruction to pass music exams such as those offered by ABRSM and Trinity. Instrumental lessons are charged at a rate of 40 GBP per hour. Additional surcharges apply to cover travel costs for in-person lessons, or PayPal service fees for Skype lessons. Invoices are delivered via email, payable in advance of lessons via bank transfer or PayPal.